The world is a great big database and algorithmic wizards and mad data scientists are burning the midnight oil to mine the perplexing infinities of ubiquitous data points. Their goal is to put data to use to facilitate better governance, initiate pinpoint marketing campaigns, pursue revelatory academic research and improve the quality of service public agencies deliver to protect and serve communities. The convergence of Big Data, Cloud Computing and the Internet of Things (IoT) make this possible. The earth is the mother of all relational databases. It’s six billion inhabitants track many billions of real time digital footprints across the face of the globe each and every day. Some footprints are readily apparent and easy to see. Facebook likes, credit card transactions, name and address lists, urgent Tweets and public records sparkle like alluvial diamonds; all easily plucked by data aggregators and sold to product marketers at astonishing profit margins. Other data points are less apparent, hidden or derived in the incessant hum of the ever listening, ever recording global cybersphere. These are the digital touch points we knowingly and unknowingly create with our interactions with the world wide web and the machines that live there. It is estimated that there is over 20 billion smart machines that are fully integrated into our lives. These machines stay busy creating digital footprints; adding quantitative context to the quality of the human condition. EZ Passes, RFID tags, cell phone records, location tracking, energy meters, odometers, auto dashboard idiot lights, self diagnostic fault tolerant machines, industrial process controls, seismographic, air and water quality apparatuses and the streaming CBOT digital blips flash the milliseconds of a day in the life of John Q. Public. Most sentient beings pay little notice, failing to consider that someone somewhere is planting the imprints of our daily lives in mammoth disk farms. The webmasters, data engineers and information scientists are collecting, collating, aggregating, scoring and analyzing these rich gardens of data to harvest an accurate psychographic portrait of modernity. The IoT is the term coined to describe the new digital landscape we inhabit. The ubiquitous nature of the internet, the continued rationalization of the digital economy into the fabric of society and the absolute dependency of daily life upon it, require deep consideration how it impacts civil liberties, governance, cultural vibrancy and economic well being. The IoT is the next step in the development of the digital economy. By 2025 it is estimated that IoT will drive $6 Trillion in global economic activity. This anoints data and information as the loam of the modern global economy; no less significant than the arrival of discrete manufacturing at the dawn of industrial capitalism. The time may come when a case may be made that user generated data is a commodity and should be considered a public domain natural resource; but today it is the province of digirati shamans entrusted to interpret the Rosetta Stones, gleaning deep understanding of the current reality while deriving high probability predictive futures. IoT is one of the prevailing drivers of global social development. There is another critical economic and socio-political driver of the global economy. Small Mid-Sized Enterprises (SME) are the cornerstone of job creation in developed economies. They form the bedrock of subsistence and economic activity in lesser developed countries (LDC). They are the dynamic element of capitalism. SME led by courageous risk takers are the spearhead of capital formation initiatives. Politicians, bureaucrats and business pundits extol their entrepreneurial zeal and hope to channel their youthful energy in service to local and national political aspirations. The establishment of SME is a critical macroeconomic indicator of a country’s economic health and the wellspring of social wealth creation. The World Bank/ IFC estimates that over 130 million registered SME inhabit the global economy. The definition of an SME varies by country. Generally an SME and MSME (Micro Small Mid Sized Enterprises) are defined by two measures, number of employees or annual sales. Micro enterprises are defined as employing less than 9 employees, small up to 100 employees and medium sized enterprises anywhere from 200 to 500 employees. Defining SMEs by sales scale in a similar fashion. Every year millions of startup businesses replace the millions that have closed. The world’s largest economy United States boasts over 30 million SME and every year over one million small businesses close. The EU and OECD countries report similar statistics of the preponderance of SME and numbers of business closures. The SME is a dynamic non homogeneous business segment. It is highly diverse in character, culture and business model heavily colored by local influence and custom. SME is overly sensitive to macroeconomic risk factors and market cyclicality. Risk is magnified in the SME franchise due to high concentration of risk factors. Over reliance on a limited set of key clients or suppliers, product obsolescence, competitive pressures, force majeure events, key employee risk, change management and credit channel dependencies are glaring risk factors magnified by business scale and market geographics. In the United States, during the banking crisis the Federal Reserve was criticized for pursuing policies that favored large banking and capital market participants while largely ignoring SME. To mitigate contagion risk, The Federal Reserve quickly acted to pump liquidity into the banking sector to buttress the capital structure of SIFI (Systemically Important Financial Institutions). It was thought that a collateral benefit would be the stimulation of SME lending. This never occurred as SBA backed loans nosedived. Former Treasury Secretary Timothy Geithner implemented the TARP and TALF programs to further strengthen the capital base of distressed banks as former Fed Chairman Ben Bernanke pursued Quantitative Easing to transfer troubled mortgage backed securities onto Uncle Sams balance sheet to relieve financial institutions of these troubled assets. Some may argue that President Obama’s The American Recovery and Reinvestment Act of 2009 (ARRA) helped the SME sector. 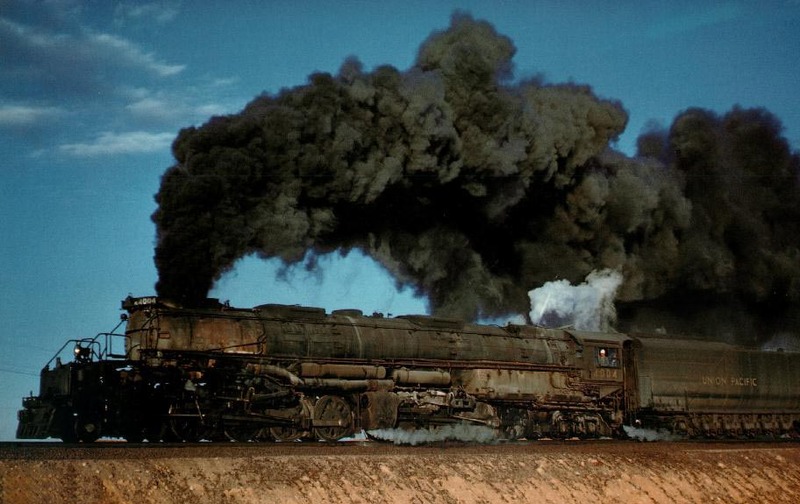 The $800 billion stimulus was one third tax cuts, one third cash infusion to local governments and one third capital expenditures aimed at shovel ready infrastructure improvement projects. The scale of the ARRA was miniscule as compared to support rendered to banks and did little to halt the deteriorating macroeconomic conditions of the collapsing housing market, ballooning unemployment and rising energy prices severely stressing SME. The EU offered no better. As the PIGS (Portugal, Ireland, Greece, Spain) economies collapsed the European Central Bank forced draconian austerity measures on national government expenditures undermining key SME market sensitivities. On both sides of the Atlantic, the perception of a bifurcated central banking policy that favored TBTF Wall Street over the needs of an atomized SME segment flourished. The wedge between the speculative economy of Wall Street and the real economy on Main Street remains a festering wound. In contrast to the approach of western central bankers, Asian Tigers, particularly Singapore have created a highly supportive environment for the incubation and development of SME. Banks offer comprehensive portfolios of financial products and SME advisory services. Government legislative programs highlight incubation initiatives linked to specific industry sectors. Developed economies have much to learn from these SME friendly market leaders. The pressing issues concerning net neutrality, ecommerce tax policies, climate change and the recognition of Bitcoin as a valid commercial specie are critical developments that goes to the heart of a healthy global SME community. These emerging market events are benevolent business drivers for SME and concern grows that legislative initiatives are being drafted to codify advantages for politically connected larger enterprises. Many view this as a manifestation of a broken political system, rife with protections of large well financed politically connected institutions. Undermining these entrenched corporate interests is the ascending digital paradigm promising to dramatically alter business as usual politics. Witness the role of social media in the Arab Spring, Barack Obama’s 2008 election or the decapitalization of the print media industry as clear signals of the the passing away of the old order of things. Social networking technologies and the democratization of information breaks down the ossified monopolies of knowledge access. These archaic ramparts are being gleefully overthrown by open collaborative initiatives levelling the playing field for all market participants. This is where SMEIoT neatly converges. To effectively serve an efficient market, transparency and a contextual understanding of its innate dynamics are critical preconditions to market participation. The incubation of SME and the underwriting of capital formation initiatives from a myriad of providers will occur as information standards provide a level of transparency that optimally aligns risk and investment capital. SMEIoT will provide the insights to the sector for SME to grow and prosper while industry service providers engage SME within the context of a cooperative economic non-exploitative relationship. 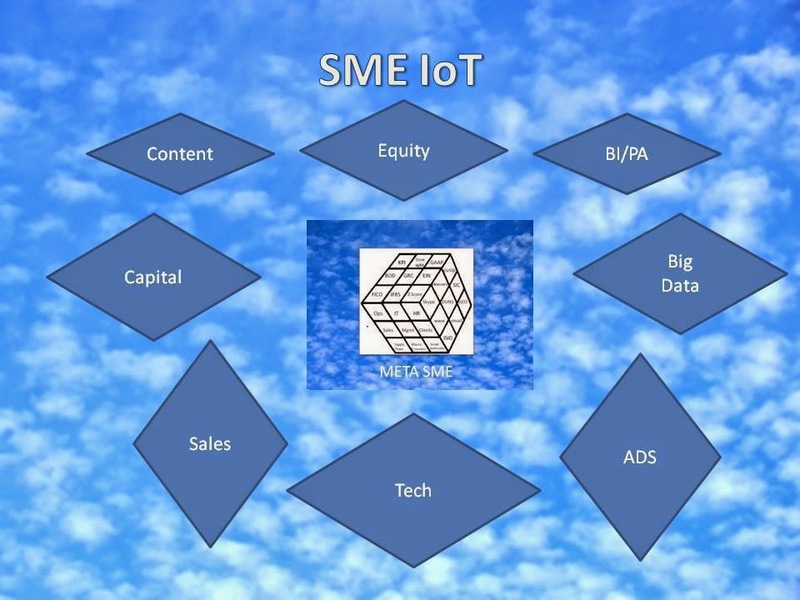 This series will examine SME and how IoT will serve to transform and incubate the sector. We’ll examine the typology of the SME ecosystem, its risk characteristics and features. We’ll propose a metadata framework to model SME descriptors, attributes, risk factors and a scoring methodology. We’ll propose an SME portal, review the mission of Big Data and its indispensable role to create cooperative economic frameworks within the SME ecosystem. Lastly we’ll review groundbreaking work social scientists, legal scholars and digital frontier activists are proposing to address best governance practices and ethical considerations of Big Data collection, the protection of privacy rights, informed consent, proprietary content and standards of accountability. SMEIoT coalesces at the intersection of social science, commerce and technology. History has aligned SMEIot building blocks to create the conditions for this exciting convergence. Wide participation of government agencies, academicians, business leaders, scientists and ethicists will be required to make pursuit of this science serve the greatest good. This is the first in a series of articles on Big Data and SMEIoT . It originally appeared in Daftblogger eJournal. Next piece in series is scheduled to appear on Daftblogger eJournal within the next two weeks. It rained all week in Northern New Jersey. The entire Passaic watershed is saturated and as it drains the Great Falls roars with the swelling volume of racing water as the river makes its way to its ultimate release into the Atlantic. Its a good metaphor for the surging rebirth of Paterson as a revitalized center of commerce and culture. Long a typical neglected northeastern industrial city in decline, Paterson is experiencing a vibrant transitioning and repurposing of it’s heritage as a manufacturing center thanks in part to The Art Factory. The Art Factory is an incubator encouraging the formation and growth of the creative arts industry. Tourism and cultural enterprises that attract tourists are critical economic drivers necessary for the rebirth of Paterson. The Art Factory’s offering of working space for artists and commercial enterprises is a critical initiative seeking to build on The Great Falls Historic District’s recent National Park designation that anchors the city’s hopes for a long awaited revitalization. The Art Factory is busy renovating the once dilapidated Dolphin Jute factory space and filling it with the creative energies of up and coming professional artists looking for commercial acceptance of their art. Memorial Day weekend, The Art Factory’s Art Walk showcased a torrent of local artistic talent. The volume of exhibits compliments the range and scope of quality art that met and exceeded the expectations of the many patrons and enthusiasts eagerly exploring a labyrinth of cavernous exhibition rooms located throughout the century old industrial complex. Indeed half the fun of The Art Walk is making your way through the multiple floors of exhibition space. The thrill of walking stairwells and darkened brick laden passageways opening into old shop floors flooded with art, bathed in the light of industrial windows framing cityscapes of surrounding street life, wooded hills of Garret Mountain and historic skyline of Paterson. Or descend into the bowels of the old factory’s basement storage areas carved out of granite bedrock bleeding water, showcasing multimedia sculptures divined from the subterranean strata of broken bricks, steel scrap, rubbish bins, wooden pallets, cardboard packaging, dexterous hands and fluid imagination. One of the great pleasures of The Art Walk is experiencing how the art interacts with industrial space. A virtue of The Art Factory is its mission to repurpose dormant manufacturing space and refill it with the creative energy of artists. A great portion of the art on exhibit in The Art Walk addressed the idea of repurposing, industrial stasis and the human and ecological cost of industrialization. The idea of repurposing industrial artifacts and disposable waste to portray the human cost of rampant consumerism was intelligently portrayed by conceptual artist Aleksandr Razin and his bold installation Jurassic Park. Comprised of 4 extensive installations filling a large basement space; The Mosquito, (68’x 20’ x 12’); The Paterson Butterfly (51’x54’x12’), The Grasshopper (35’x45’x13’) and The Fly (54’x55’x20’); Jurassic Park was fully constructed from materials culled from the excessive waste of our throw away consumer society. Each installation appears as though its belongs in the dank basement of an industrial complex. One piece, The Caterpillar, is a boxed construction of corrugated cardboard enclosing an inner lighted workplace of benches, machines, tools and cabinets. One can look inside the caterpillar through windows or enter the piece from an hidden doorway. From the outside the cardboard construction looks like its about to collapse from flimsy construction materials. A caterpillar suggests transition but once inside the caterpillar I imagine a shift of workers trapped in a dangerous workplace at risk of imminent collapse. Certainly a timely observation given the recent catastrophic collapse of a Bangladesh textile factory killing over 1,000 workers manufacturing high end clothing for some of the leading western fashion brands. Another large subterranean installation offers a complex tube structure of air blown inflated denim. A haunting soundtrack of industrial sounds echoes through the room; as sparse lighting casts long shadows of the piece and patrons onto walls of bedrock and weathered brick. The patron assumes the role of a consumer who becomes complicit enablers trapped in the denim web of global trade built on the exploitation of third world textile workers. Jonah The Prophet and The Gates of Hell completed a trinity of subterranean social commentary installations. Jonah, a suspended wire piece portrays a figure devoured by a fish. The room’s floor was covered in broken brick. Scattered cubicle panels lined the walls. Here in the lowest level of The Art Factory we have been consumed, entrapped in the prison of industrial monotony. The upper floors of the show mostly featured portraiture, photography and small sculptures. An installation on Industrialism portrayed the hard edges of industrial capitalism. 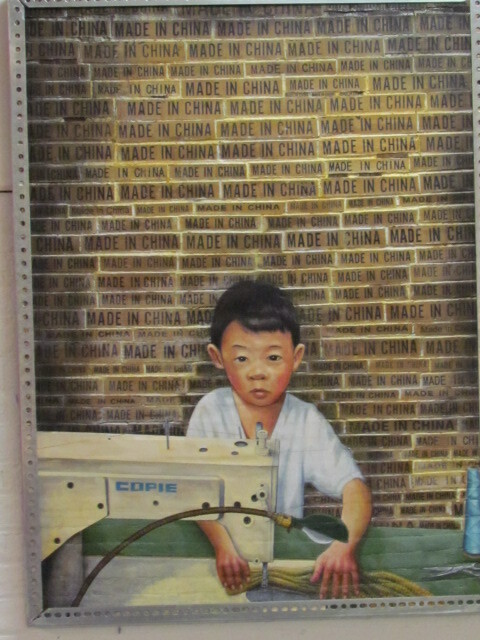 An oil painting, Made In China sympathetically portrays a child attached to a sewing machine. Its a striking depiction of western consumerism complicity in enabling child labor. With the exception of the basement installations, for the most part politics and social commentary was absent from the Art Walk. The pieces were clearly positioned for sale; and as I said earlier the quality and subject matter of paintings make this art highly marketable. Refreshments, bands and a wedding added an air of festive lightness to the day and set a consumer friendly atmosphere to The Art Walk. And that’s how it should be. Though I couldn’t discern any major artistic breakthroughs, commercial development and the art of capitalism is the star of this show. Bravo The Art Factory and The Paterson Art Walk. The journey back from economic doldrums has begun in Paterson and The Art Factory and The Art Walk is a big first step in that journey. The recession and credit crunch have shifted financial risk from banks to small and midsized businesses (SME) that often must extend credit to customers to make a sale. When companies extend credit, in effect making unsecured loans, they’re acting like banks but without the credit management tools and experience of a banker. Credit Redi is designed for small businesses to quickly spot customer credit risk. Small businesses typically don’t have access to information that provides transparency about customer credit worthiness. Credit Redi is a credit risk management tool for small and mid-sized businesses. It only takes one or two bad receivables to damage an SME’s financial health. Market conditions quickly change and its critical to have some type of business insight into the businesses SME’s work with. Credit Redi is also an excellent tool to determine the financial health of critical suppliers. A key supplier going out of business could have disastrous consequences for SMEs. Credit Redi monitors the financial health of existing suppliers and help managers make wiser choices in supply chain and business partner decisions. The following research paper on The Hamilton Plan was written by Deepak Verma, a business student at Baruch College. To our knowledge it is the first scholarly research that incorporates the Hamilton Plans theme of a focus on SME manufacturing. Living beyond means is not sustainable. One of the primary reasons of prolonged Economic and Credit Crisis in United States is its low manufacturing base and American way of consuming more than what is produced. This research paper will examine issue of shrinking manufacturing base of USA, unfair and unethical business practices adopted by countries such as China to boost export thereby causing trade deficit to USA, reasons for low manufacturing base and role of small and medium enterprise (SME) manufacturers in developing a sustainable manufacturing base of the US economy. Prior to coming at Baruch College for pursuing MBA in finance and investments, I worked for over 10 years with Small Industries Development Bank of India (SIDBI), an apex financial institution of India engaged in the development and financing of SMEs and micro financial institutions. Having worked with this financial institution, I realized the importance of SMEs in bringing sustainable economic development and employment creation, particularly in a mixed economy like India. The paper will discuss on public-private initiative in USA for development of SMEs, their efforts and capital investment for empowerment and financing of SMEs. Various initiatives taken by private and public sector will be analyzed. Efforts have been made to forecast future of SMEs vis a vis manufacturing sector, role of community development financial institutions (CDFIs), and flow of commercial bank credit and private equity investment in SMEs in the United States. Why should shrinking manufacturing base be an issue in a market driven service oriented economy like US? Federal Reserve Chairman Ben Bernanke stated on Feb. 28, 2007, “I would say that our economy needs machines and new factories and new buildings and so forth in order for us to have a strong and growing economy.” Strong Manufacturing base is the only solution to rising trade deficit and industrial job loss. Manufacturing promotes innovation which leads to investments in equipment and people, research and development, improved products and processes and increase in productivity and higher standards of living. Increase in manufacturing leads to increase in demand for raw materials and other commercial services. Since the United States joined the WTO, US trade deficit has risen from $150.6 billion in 1994 to $817.3 billion in 2006. US reliance on imports ranges from electronic items to apparels and other consumables. For example, electronic items sold in United States are developed by companies such as Philips, Toshiba, Sony, Hitachi, Samsung and Sharp. We have lost significant market share in Auto Industry also. Toyota has surpassed General Motors to become leading auto manufacturer in terms of global sales. Ironically, items such as clothing and apparel where USA had its dominance are also being imported from foreign countries. Over 90 percent of clothing and shoes sold in the United States are made in foreign countries. US economy has thrived on consumerism which has led to increase in demand for goods over the years but production of domestically manufactured goods has been declining, thereby giving rise to imports from foreign countries and loss of industrial jobs. Critics of the argument say it is the increase in production efficiencies, resulted from technological innovation and advancement that has resulted in loss of jobs. Additionally, it is the increase in consumption which is the root cause of import deficit rather than shrinking manufacturing base. Undoubtedly long term data indicates an increase in US manufacturing, but the way we are loosing our manufacturing share from last 2 decades and if we continue shrinking, we will soon have no choice but to consume whatever is dumped in our market and will be on the mercy of foreign imported goods. Increase in manufacturing has not kept pace with global growth in manufacturing in USA. Since 2000 global manufacturing growth has been 47%, whereas USA has recorded a growth rate of only 19%. What is causing shrinking manufacturing base in the United States? Is it purely competitive and cheaper products manufactured in Asia and Europe or some other factors are also responsible? Undoubtedly competitive global business environment has severely affected domestic production in the United States, this crisis in large arises due to unfair and unethical business practices adopted by its trading partners mainly China. Some of those practices are significant government subsidies, currency manipulation, large-scale dumping in the U.S. market, and other market-distorting practices. Additionally, unfavorable govt. policies, tax structure, increase in cost involved in healthcare, litigation, and regulation has significantly affected the bottom line. Increase in cost and strict regulation forced manufacturing units to move their facilities to other countries where companies do not face those kinds of impediments. Companies operating in the U.S. started outsourcing low-value tasks like simple assembly or circuit-board stuffing, but lower cost of outsourcing and shrinking margin lured them to continue outsourcing sophisticated engineering and manufacturing capabilities that are crucial for innovation in a wide range of products. As a result, the U.S. has lost or is in the process of losing the knowledge, skilled people, and supplier infrastructure needed to manufacture many of the cutting-edge products it invented. Is there any way to bring back our manufacturing base? The view that the U.S. should focus on R&D and services is completely flawed. Manufacturing is part of the innovation process and United States has to expand its manufacturing base to remain a world leader. (1) Increase the tariffs on foreign goods so that they are more expensive than domestic goods. (2) Demand the same level of quality in all foreign goods as American goods. (3) Diplomatic measures should be taken to create pressure on foreign countries particularly China to stop manipulating their currencies. Efforts should be made to open up foreign consumption markets adequately to U.S. producers so as to increase export and minimize trade deficit and should endeavor to combat predatory foreign trade practices aimed at undermining U.S. producers in their home market. Next big step is to promote small and medium enterprises to set-up manufacturing units. The issue of shrinking manufacturing base in the United States has been discussed by economist, policymakers, industrialists, and think tanks since economic integration and various measures to improve domestic manufacturing base have been suggested. But considering our free market dominance no sincere efforts were made to expand manufacturing base. Alarming rise in trade deficit and current economic and credit crisis which resulted in to massive industrial job loss has called for immediate intervention of private-public participation to protect and develop domestic manufacturing base for long term sustainable economic growth of United States. It is this time only that the role of SME manufacturers was felt inevitable to address this alarming issue. US need to change course at this point of time and need to develop a network of small and medium enterprises focusing on cleaner and green technology. The U.S. can explore strategies used in emerging markets for development of SMEs. According to Hau L. Lee, a professor at Stanford Graduate School of Business, “America needs large industrial zones devoted to specific industries–similar to zones in Taiwan, Singapore, Malaysia, and much of China. Such areas offer tax breaks, cheap or free land, workforce training, plenty of water and power, and agencies that serve as one-stop shops for all of the necessary permits and regulatory approvals.” A national level specialized financial institution may be created to provide low cost credit to newly setup SMEs in the manufacturing sector. US strength lies in high end technology, innovation, R&D, robust infrastructure, and know-how. US govt. runs a number of programs for providing technological know-how, contracting opportunities, counseling and assistance, financing, and R&D facilities to small and medium enterprises. Some of the prominent programs run by US department of commerce are Manufacturing Extension Program, Advanced Technology Program, Technology Transfer, and Small Business Innovation Research (SBIR) Program. State govt. and number of govt. agencies are deployed for implementation of these schemes across the United States. SBA provides technical and financial assistance to SMEs through its partner lending institutions. Sum2 LLC, a firm which assists SMEs in implementing sound business practices by offering a series of programs and products, announced The Hamilton Plan on Labor Day. The Hamilton Plan is a ten point program to foster the development of manufacturing in the United States by tapping the entrepreneurial energy of small and mid-size enterprises (SME). The Hamilton Plan requires concerted focus of investment capital to fund development and establishment of an SME Development Bank (SDB) which will focus, manage and administer capital formation initiatives to incubate and develop SME manufactures. With the concerted government efforts for promotion and development of SMEs and private sector initiatives such as “10,000 Small Businesses plan” by Goldman, SMEs will be largely benefited having access to innovative financial products and services from a network of financial institutions. Ten point program suggested in Hamilton plan, if implemented, will bring cluster based development of SME manufacturers. Cleaner and green technology will drive long term sustainable growth, increase national income and result in employment creation. Healthy SMEs will be focusing on export of goods thereby reducing the trade deficit and offer a new market for commercial banking sector. High-tech growth oriented SMEs will also have access to private equity investments and will offer a new avenue of diversification to private equity industry. But the task of SME development is a challenging task and requires strong will on the part of different stakeholders. SMEs are considered to be the riskiest segment of borrowers from a financial institution’s perspective and thus struggle for timely and adequate credit. Access to technical and market information, financial assistance and trained and educated workers is the biggest challenge for SMEs. Future SMEs require sound business practices such as corporate governance, risk management, stakeholder communications and regulatory compliance. I believe that SMEs are sine qua non for manufacturing sector & I can foresee a bigger space for SMEs in next 20 years from now. I am so intrigued with the idea of SMEs development and their contribution in the economic growth that in the long run I wish to work as a freelancer offering consultancy and advisory services on financial and strategic matters to SMEs. I would work with a network of financial institutions, venture capitalists, engineers, environmentalists, social workers, suppliers, and policy makers so as to offer SMEs a comprehensive set of services. President predicts it will take decades to revive declining U.S. manufacturing base? Manufacturing & Investment Around The World: An International Survey Of Factors Affecting Growth & Performance, ISR Publications, revised 2nd edition, 2002. ISBN 978-0-906321-25-6. This years Schulte Roth Zabel’s (SRZ) 19th Annual Private Investment Funds Seminar stuck a very different pose from last years event. One year on from the global meltdown of financial markets, languishing institutional certainty and the pervading crisis of industry confidence has been replaced with a cautious optimism. The bold swagger of the industry however is gone, in its place a more certain sense of direction and expectation is emerging. Though managers continue to labor under unachievable high water marks due to the 2008 market devastation, 2009 marked a year of exceptional performance. Investment portfolios rebounded in line with the upturn in the equity and bond markets. Liquidity improved and net inflows into the industry has turned positive during the last quarter as large institutional investors and sovereign wealth funds returned to the sector with generous allocations. These are taken as clear signs that the industry has stabilized and the path to recovery and the healing of economic and psychological wounds are underway. Yes the industry will survive and ultimately thrive again but it will do so under vastly different conditions. The new business landscape will require an industry with a guarded culture of opaqueness to provide much greater transparency while operating under a regimen of greater regulatory scrutiny. The 1,900 registered attendees heard a message about an industry at a cross road still coming to terms with the market cataclysm brought on by unfettered, unregulated markets and excessive risk taking. SRZ offered an honest assessment in examining the industries role in the market turmoil. Speakers alerted attendees to an industry at a tipping point. To survive the industry must adapt to a converging world that believes that uniform market rules and regulations are the surest safeguards against catastrophic systemic risk events. A global political consensus is emerging that expresses support for industry regulation as an effective tool to mitigate the pervasiveness of fraud and market manipulation that undermines investor confidence and ultimately the functioning of a fair and efficient open free market. The conference subject matter, speakers and materials were all top shelf. Break out presentations on risk management, regulatory compliance, distressed debt deal structuring, tax strategies and compensation issues all reinforced the overriding theme of an industry in flux. The presenters passionately advocated the need to intentionally engage the issues to confront accelerated changes in market conditions. By doing so, fund complexes will be in a position to better manage the profound impact these changes will have on their business and operating culture. Subject issues like insider trading, tax efficient structuring, hedge fund registration, preparing for SEC examinations and the thrust of DOJ litigation initiatives and how to respond to subpoenas were some of the topics explored. To highlight the emerging regulatory environment confronting the industry, a presenter pointed to the Southerization of the SEC. This is an allusion to the hiring of former criminal prosecutors from the Department of Justice, Southern District of New York to go after wayward fund managers. The SEC is ramping up its organizational capability to effectively prosecute any violations of the new regulatory codes. The growing specter of criminal prosecutions and the growing web of indictments concerning the high profile case of Mr. Raj Rajaratnam of the Galleon Group was presented as evidence of an emerging aggressive enforcement posture being pursued by regulators. Managers beware! Presenters made some excellent points about how institutional investors are demanding greater levels of TLC from their hedge fund managers. This TLC stands for transparency, liquidity and control. Creating an operational infrastructure and business culture that can accommodate these demands by institutional investors will strengthen the fund complex and help it to attract capital during the difficult market cycle. The evening concluded with an interesting and honest conversation between Paul Roth and Thomas Steyer, the Senior Managing Partner of Farallon Capital Management. The conversation included increased regulatory oversight, compensation issues, industry direction and matching investor liquidity with fund strategy, capacity, structure and scale. Mr. Steyer manages a multi-strategy fund complex with $20 billion AUM, his insights are borne from a rich industry experience. He made the startling admission that Farallon has been a registered hedge fund for many years and he believes that the regulatory oversight and preparation for examiners reviews helped his fund management company to develop operational discipline informed by sound practices. Mr. Steyer also spoke about scale and that additional regulatory oversight will add expense to the cost of doing business. Mr. Steyer believes that it will become increasingly difficult for smaller hedge funds to operate and compete under these market conditions. Another interesting topic Mr. Steyer addressed were issues surrounding investor redemption and fund liquidity. During last years SRZ conference investor liquidity was the hot topic. Fund preservation during a period of market illiquidity and a fair and orderly liquidation of an investment partnership were major themes that ran through last years presentations. Mr. Steyer struck a more conciliatory tone of investor accommodation. He confessed his dislike for the use of “gates” as a way to control the exit of capital from a fund. In its place he offered a new fund structure he referred to as a “strip” to allocate portfolio positions to redeeming partners in proportion to the overall funds liquid and illiquid positions. He stated he believed that strategy to be more investor friendly. Schulte Roth & Zabel has once again demonstrated its market leadership and foresight to an industry clearly in flux, confronting multiple challenges. These challenges will force fund managers to transform their operating culture in response to the sweeping demands of global market pressures, political impetus for regulatory reform and the heightened expectations of increasingly sophisticated investors. 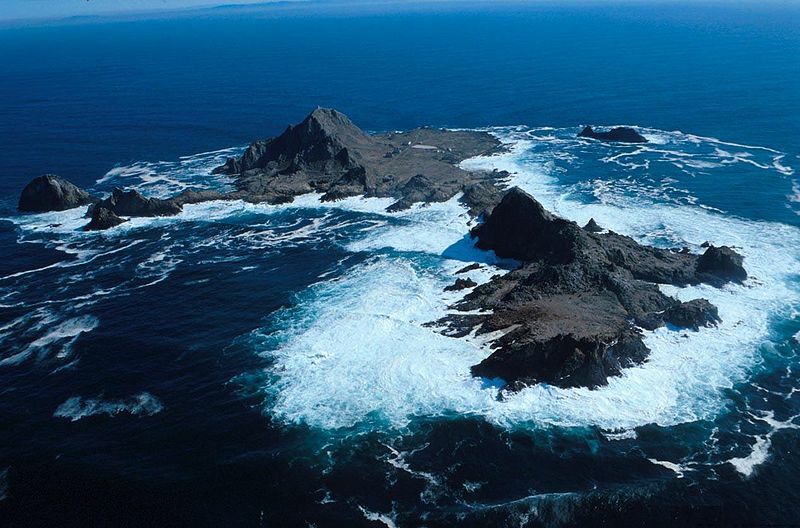 The industry could not have a more capable hand at the helm to help it navigate through the jagged rocks and shifting shoals endemic to the alternative investment management marketplace. 8. Culture: The Googlization of civilization will allow individuals to embrace more corporatism as a pillar to add efficiency and order to their lives. Multiculturalism will continue to grow in the US. However a growing political backlash against it will become more of a prominent theme as Teabaggers agitate for a return to the true values of America. Electronic arts will make major leaps and bounds as commodification continues to be a driving force in the world of art. Printed words like books and newspapers will continue to dramatically decline. Writing, drawing and playing musical instruments skills will ebb as people prefer to develop digital skill sets. Texting and Tweeting make for poor practice for extended compositions. The severity of the banking crisis is evident in the 95 banks the FDIC has closed during 2009. The inordinate amount of bank failures has placed a significant strain on the FDIC insurance fund. The FDIC insurance fund protects bank customers from losing their deposits when the FDIC closes an insolvent bank. The depletion of the FDIC Insurance fund is accelerating at an alarming rate. At the close of the first quarter, the FDIC bank rescue fund had a balance of $13 billion. Since that time three major bank failures, BankUnited Financial Corp, Colonial BancGroup and Guaranty Financial Group depleted the fund by almost $11 billion. In addition to these three large failures over 50 banks have been closed during the past six months. Total assets in the fund are at its lowest level since the close of the S&L Crisis in 1992. Bank analysts research suggests that FDIC may require $100 billion from the insurance fund to cover the expense of an additional 150 to 200 bank failures they estimate will occur through 2013. This will require massive capital infusions into the FDIC insurance fund. The FDIC’s goal of maintaining confidence in functioning credit markets and a sound banking system may yet face its sternest test. FDIC Chairwoman Sheila Bair is considering a number of options to recapitalize the fund. The US Treasury has a $100 billion line of credit available to the fund. Ms. Bair is also considering a special assessment on bank capital and may ask banks to prepay FDIC premiums through 2012. The prepay option would raise about $45 billion. The FDIC is also exploring capital infusions from foreign banking institutions, Sovereign Wealth Funds and traditional private equity channels. Requiring banks to prepay its FDIC insurance premiums will drain economic capital from the industry. The removal of $45 billion dollars may not seem like a large amount but it is a considerable amount of capital that banks will need to withdraw from the credit markets with the prepay option. Think of the impact a targeted lending program of $45 billion to SME’s could achieve to incubate and restore economic growth. Sum2 advocates the establishment of an SME Development Bank to encourage capital formation for SMEs to achieve economic growth. Adding stress to the industry, banks remain obligated to repay TARP funds they received when the program was enacted last year. To date only a fraction of TARP funds have been repaid. Banks also remain under enormous pressure to curtail overdraft, late payment fees and reduce usurious credit card interest rates. All these factors will place added pressures on banks financial performance. Though historic low interest rates and cost of capital will help to buttress bank profitability, high write offs for bad debt, lower fee income and decreased loan origination will test the patience of bank shareholders. Management will surely respond with a new pallet of transaction and penalty fees to maintain a positive P&L statement. Its like a double taxation for citizens. 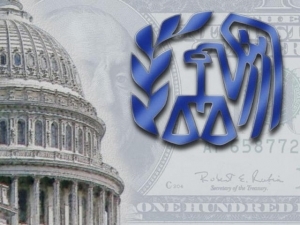 Consumers saddled with additional tax liabilities to maintain a solvent banking system will also face higher fees charged y their banks so they can repay the loans extended by the US Treasury to assure a well functioning financial system for the benefit of the republic’s citizenry. Michael Jackson is now one with the ages. 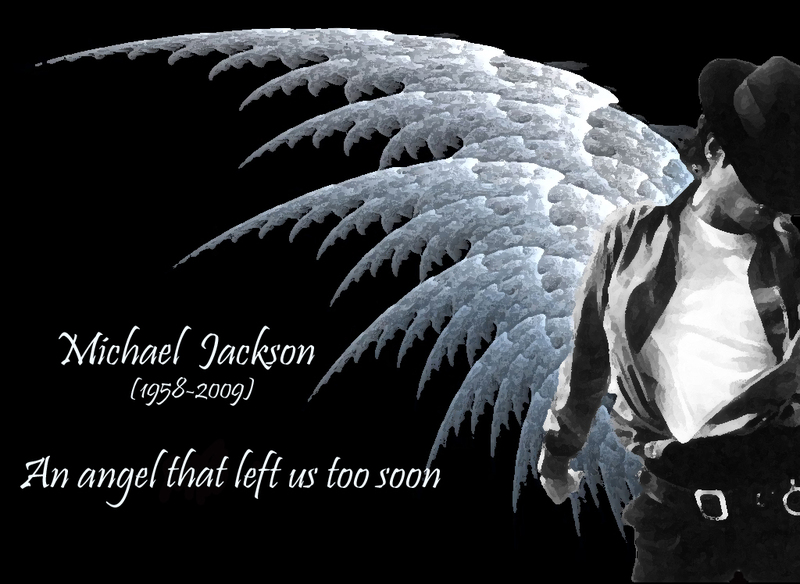 MJ’s passage from this earth marks the death of an American hero and the birth of an angel or possibly a saint. MJ now joins Elvis and Princess Di to complete a divine celestial trinity. First there was Elvis, The King. The American dream and the innocence of an age dies way too young. No worries, Col. Parker transforms it into the tragic legend of an unsullied Americana that refuses to die even as its mummified corpse lying in state at Graceland continues to twitch from all the amphetamines old Elvis consumed during his historic run in Vegas. Elvis, the everyman saint. Rising from the humble estate of a Mississippi delta dirt farmer. Elvis would conquer the hearts of his countrymen with sweet southern charm, an impish smile and an untamable shock of hair that flipped when his hips rocked. His love me tender silky voice had the power to weaken every woman’s knees. Countless men would also be curiously drawn to emulate his persona by adopting the vain King’s more frilly affectations. It was a curious example of socially acceptable homo eroticism in a don’t ask don’t tell and certainly don’t show society. Princess Di, The Lady of the Lake, would follow Elvis. Her story genuinely tragic because her violent demise was not her doing. Her story truly the stuff out of a very Grimm fairy tale. A more gorgeous Cinderella could not be found. Yet her unprincely prince yearning to free himself from under the shadow of a perpetual queen would flummox his princess bride. It would doom this marriage and force the affection starved Princess into the arms of another. This fairy tale did not end well for the defrocked Princess. Her loyal subjects refused to let this very contemporary aristocrat descend to the pedestrian status of commoner. Her minions jealously guarded the memory of this royal icon. They sought to affirm personal fantasies that attaining royal status, though remote, is a possibility; and that beautiful benevolent monarchs are real people like them who deeply love and identify with their daily trials. Devoted Britoners make pilgrimages to her final resting place that is worthy of Queen Guenevere. Pricess Di is entombed on an island in an ornamental lake known as The Round Oval. The lake is located in Althorp Park’s gardens the ancestral home of Princess Di’s family. The Round Oval is surrounded by a path with thirty-six oak trees, marking each year of her life. Princess Di’s constant sentinels are four black swans that swim the lake amidst water lilies, which, in addition to white roses, were Diana’s favorite flowers. MJ’s beatification will proceed abetted by fawning fans, a complicit family and entertainment media moguls eager to do large licensing deals to insure that royalties continue to accrue to the King of Pop estate and its agents. His veneration will address the American peoples deep seated need and unending capacity for hero worship. This need is only exceeded by our driving compulsion for instant gratification through gluttonous consumption. For many, this is the principal freedom promised to any and all Americans; an inalienable right to satiate any whim or whimsy money can buy. Nowhere in recent memory do these character deficiencies coalescence so neatly as they do with MJ. The voracious consumption of culture knows no bounds. Like every other aspect of American life, culture as a commodity is the only culture we know. Radical capitalism has so thoroughly reified itself into the fabric of our everyday life that we find it increasingly difficult to imagine or experience human relations or interactions outside of a commercial transactional exchange. MJ significant buying power purportedly allowed him to bleach his skin, remove a negroid nose, purchase a triptych of white kids, fiance a voracious prescription drug addition and allegedly engage and cover up pedophilia activities. MJ’s life was the triumph of consumer capitalism. Marketing changed and created MJ and the idea of MJ. From his very first appearance on the cover of Tiger Beat magazine as a member of the Jackson 5, to the ghastly image of his corpse filled body bag being offloaded from a helicopter on its way to the city morgue; MJ was a commercial vehicle, a marketing juggernaut that enriched a multitude of people, fattened his bank account and tormented and robbed his soul. Yes MJ could have anything and everything money could buy yet he found no peace. This mythic figure created, manufactured and marketed by immutable corporate institutions seeking to seamlessly bind our mind and soul to an existential dream of material opulence in reality is much more the nightmare. It is more akin to imprisonment in a gulag of Walmarts; then the elusive personal liberation tantalizingly dangled by the broken promises of consumer capitalism. MJ’s death truly signals a hair on fire moment for our culture and no metaphor could be more powerful then his Pepsi commercial shoot gone bad. Our myths instruct us to hold on to our Valium and amphetamine addicted lifestyles. Its the price we must pay to work and acquire the things that hold the illusory promise of freedom. We need heroes to emulate. It fuels our Viagra driven power surges in a queer transference. Its how we escape our daily pedestrian dread. It is how we live to converse with the God’s if only for a few fleeting infrequent moments allowed by the running meters of consumer rapture. Here we are led to believe that after a heavy day of fighting the power, misogynistic rappers guzzling Christal and lighting Cuban spliffs with hundred dollar bills are the just rewards for speaking truth to power and taking on the man. Madison Avenue business is the creation of virtual mythology. MJ’s career trajectory perfectly captured the arch of American culture since the Viet Nam war. The perfect antidote to The Black Panthers and Malcolm X, the cutesy Jackson 5 were acceptable Negroes welcomed in all white American living rooms as they stomped on Ed Sullivan’s TV Show. To the final funereal spectacle complete with a homily by Rev. Al Sharpton offering MJ apologetics and the Afro American Hollywood bourgeoisie rolling up to the Staple Center in a caravan of Black Danalis perfectly captured a peculiar resonance of Barack Obama’s America. MJ always at its epicenter. Placed their by the power of Madison Avenue media mavens and blockbuster Tinsel Town agents. CNN was crowing how this event was about the common folk. Not the stars or glittering sequined gloves worn by MJ pallbearers. Elvis was a Horatio Alger type story. Princess Di let us fantasize about our royalty as we sat in our personal castles of over mortgaged homes cluttered with Rubbermaid artifacts. MJ was evidence of the triumph of marketing and the divinity of packaged consumer capitalism. Look again at the man in the mirror. Let it reveal how consumer fantasy makes every man King and each day a coronation through the availability of fast and easy credit. As the world begins its frantic search of Travelocity for deals for a Hajj to the Neverland Ranch, some might recall St. Michael the Arch Angel who cast Lucifer out of heaven. MJ will be St. Michael the Second. It may be an ironic twist of fate that MJ will hold second billing for eternity to an Arch Angel portrayed by John Travolta in the film Micheal. I’m sure his publicists are busy planning a PR campaign to rearrange the celestial order of things.